Staying your coolest during the intense spells of heat and humidity in Longwood near Orlando takes drive and determination. An effective, well-tuned and properly working air conditioning system is critical. 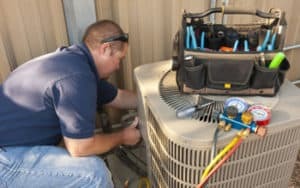 Once you’ve found the experts in the AC service Longwood depends on to keep their homes and businesses cool, you’ll want to keep the phone number for DC / AC Air Conditioning and Heating on speed dial and bookmark their website. There is almost nothing else quite as frustrating as a malfunctioning air conditioning system. If you don’t address the problem right away, it can even become dangerous. 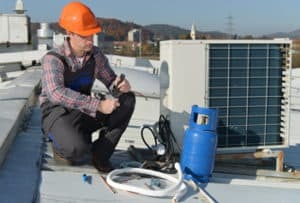 You should have your air conditioning checked and repaired by experts you can trust like those from DC / AC Air Conditioning and Heating as soon as you notice that your system is not working right. Heat exhaustion that could eventually lead to heatstroke can be an insidious thing that sneaks up on people before they even realize what is happening. It can be especially harmful to small children, the elderly and to animals. Basic symptoms include thirst that is hard to quench, headache, weakness, lethargy and lack of energy. This makes getting your air conditioning checked and repaired by your trusted Longwood AC repair company absolutely essential. There is no time to waste once your home starts to overheat and become humid and sticky feeling. Sleep can be compromised and every activity you try to do throughout the day can feel overwhelming when your home is too hot. Luckily, you have a trusted partner in Longwood air conditioning repair that you can call at the first sign of trouble. 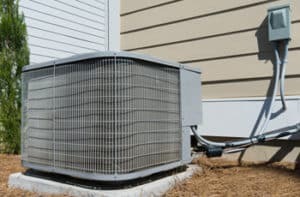 Your AC unit will probably last you for many years if you adhere to a schedule of routine maintenance to catch any issues early before they become big problems. Regular maintenance includes things like changing the filter, cleaning coils, inspecting all systems and checking your refrigerant levels to keep them at the optimum operating levels. Your trusted Longwood air conditioning repair experts make sure you fully understand everything that’s being done and why it’s done. Keeping your system maintained with the advised plan of maintenance helps to ensure that you’ll have working air conditioning when Longwood temperatures and humidity soar during the summer months. The times when your air conditioning system is running properly are when you’ll also see the most savings on your utility bills. And everyone seems to love saving money. 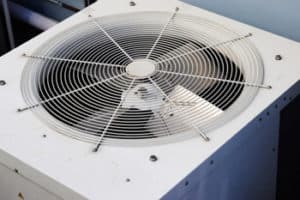 Your specialist in the AC repair Longwood needs to keep air conditioning systems running most efficiently is happy to help you navigate all the nuances of your system, whether it’s a new system or an existing one. DC / AC Air Conditioning and Heating has earned a reputation for going the extra mile for you in everything we do. Our customers continue to compliment us in reviews they leave for our company. Our outstanding reputation is something we never take for granted. We appreciate our customers and show it every day by keeping a focus on 100 percent customer satisfaction. The biggest compliment we receive is being recommended to our customers’ friends and neighbors because of a job well done. Staying the AC service Longwood trusts is important to us. We strive to continue to be the AC repair Longwood relies on for expert service.